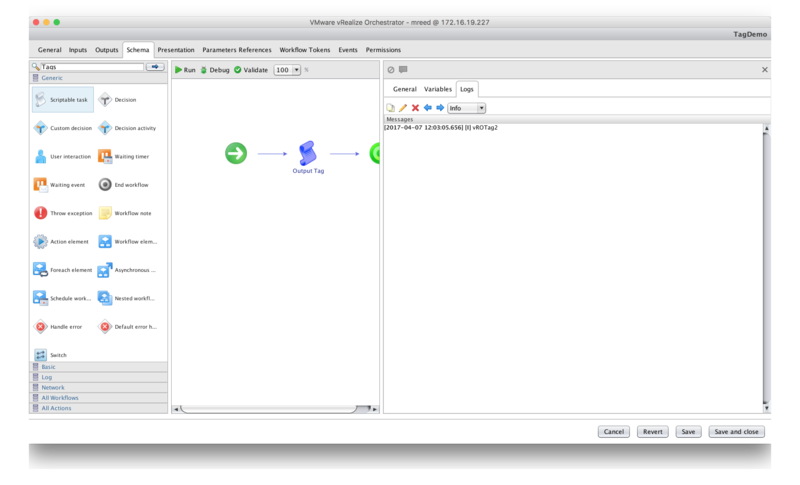 A recent blog post by Rob Nelson about using vRO to provision VMs with vSphere tags (https://rnelson0.com/2017/04/06/vrealize-orchestrator-workflows-for-puppet-enterprise/) got me thinking about how to present a dynamic list of vSphere tags in vRO. 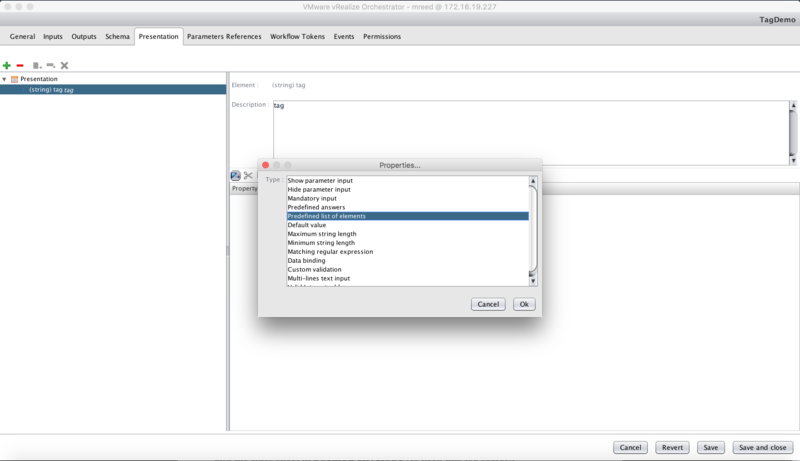 So in this post we’ll walk through how to create a dynamic drop-down list of vSphere tags in vRO. 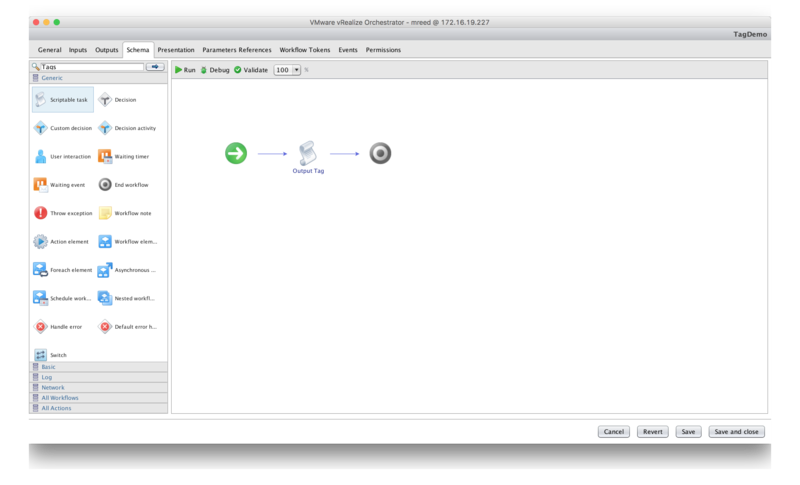 This post assumes that the VAPI plugin has been configured which is covered in this post. The first thing we need to do is create an action that retrieves the list of tags that we want. Click on the gray gear with the blue play button to change to actions section. Create a folder to store the actions. 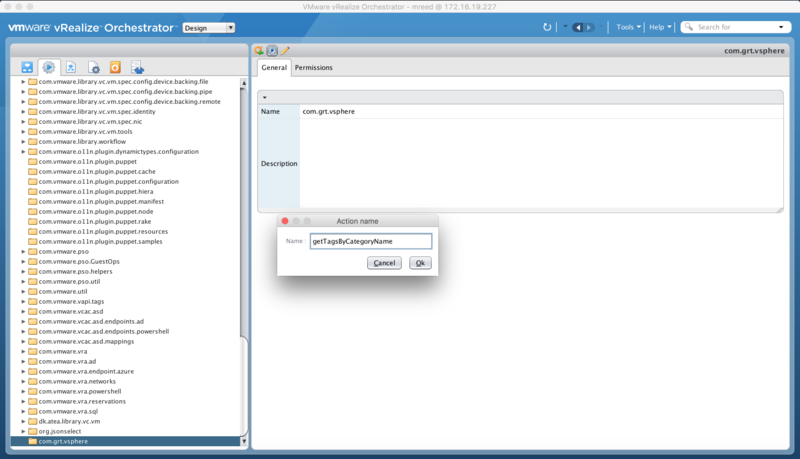 I’ve used com.grt.vsphere for the folder name to align with the “com.orgname.function” naming schema. Now we can create the action by clicking on the gray gear with the blue play button above the “General” tab. Provide a name for the action and click “Ok”. With all the hard stuff out of the way let’s create a workflow to test our action. We’ll add a scriptable task just to provide output which tag we selected. 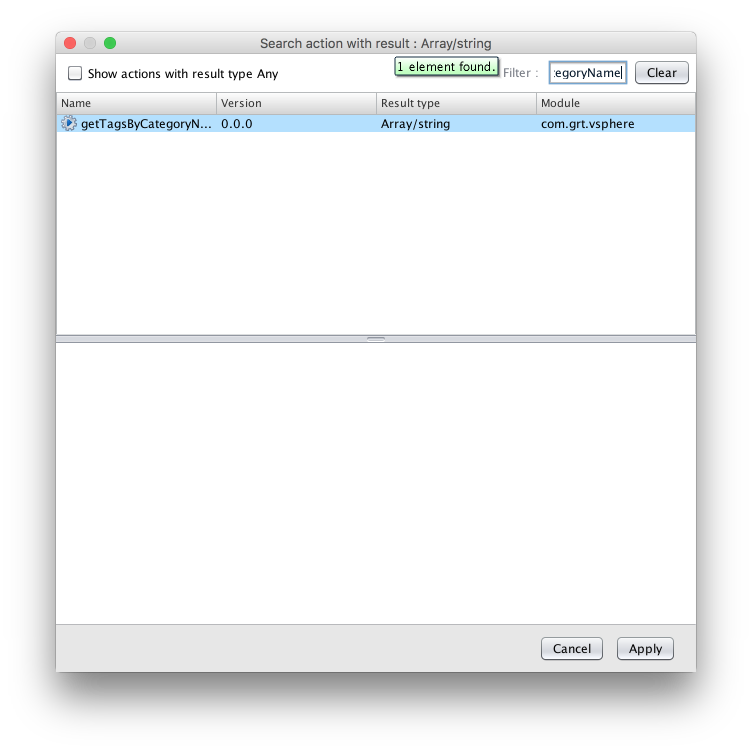 Edit the scriptable task and add the following code to log the tag selection. 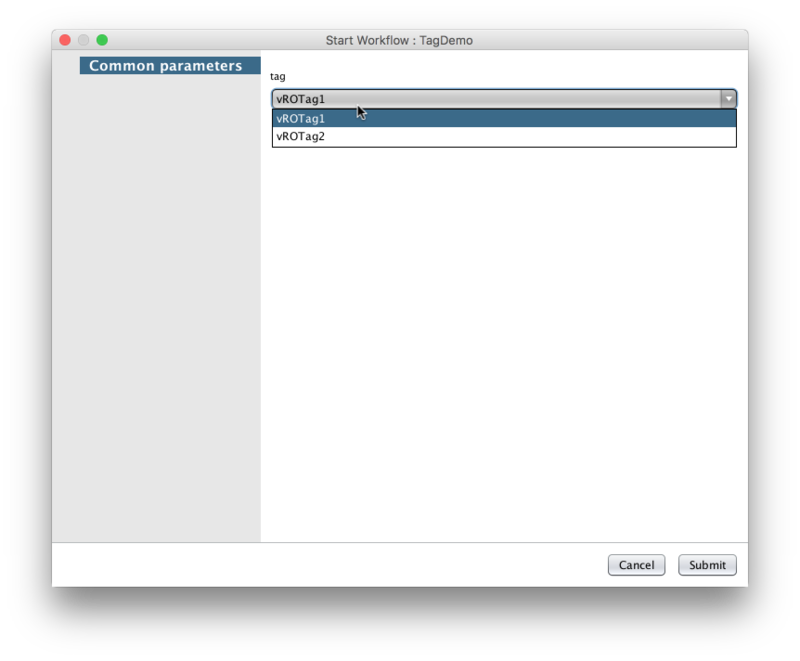 Close the scriptable task and create an input parameter named “tag”. We need to bind the “tag” input parameter to our scriptable task. Click on the “Presentation” tab and select the “tag” input. Then click the blue triangle to add a property and select “Predefined list of elements”. Click the purple piece on the property we just added to add the action to dynamically fetch tags. We need to select the action that we created. We can use the filter text box to find the action we created by name and then click “Apply” to add it. If all goes well we should see a dropdown list of the tags in the category we specified in the action. Now that we’ve run the workflow we can check in the log output which tag we selected from the drop-down.